Fnatic is still struggling without superstar mid laner Rasmus “Caps” Winther. The team shifted to a more aggressive style against Vitality, but a number of poor decisions saw the reigning European champions drop its third consecutive game to start the split. Splyce had little trouble getting by Rogue, as the LEC newcomers are still looking for their first win. 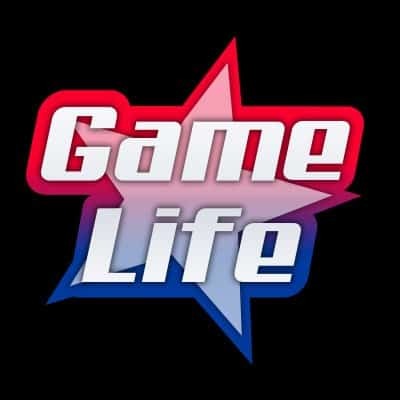 The game could have gone a lot faster, but Splyce got slowed down by pickoffs. exceL may be new to the LEC, but the team gave G2 Esports a hard time and came close to securing an upset over the superteam. In the end, however, G2 escaped with a dangerously close win. Speaking of superteam, Misfits might have inched ahead of G2 with a comfortable win over Origen. Summer runner-ups FC Shalke 04, meanwhile, secured a win over another German organization, SK Gaming. 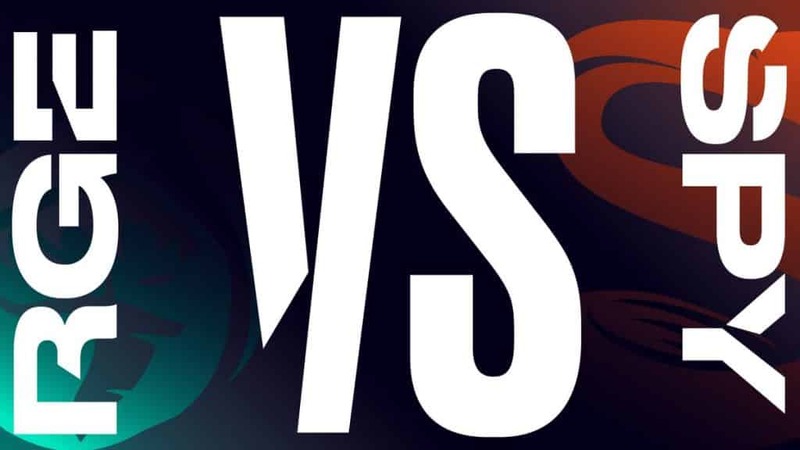 While LEC rookie Tim “Nemesis” Lipovšek repeated his Galio pick for the third straight game, this week’s opener saw a much more aggressive draft on Fnatic’s side. Making use of the level 1 potential its composition had with Xin Zhao, Lucian and Braum, jungler Mads “Broxah” Brock-Pedersen, superstar AD Carry Martin “Rekkles” Larsson and support Zdravets “Hylissang” Galabov went for an early jungle invasion to take Lee “Mowgli” Jae-ha’s (Gragas) red buff. In a sign of things to come, the Vitality jungler stood his ground and won the Smite contest, setting Fnatic’s early game-reliant composition back significantly. Vitality’s mid laner Daniele “Jiizuke” di Mauro (Irelia) forced an early trade against Nemesis, but despite being really far behind in farm, the rookie won the one-on-one fight to secure the first kill. Fnatic then moved its resources towards the top side to try and take the first turret. 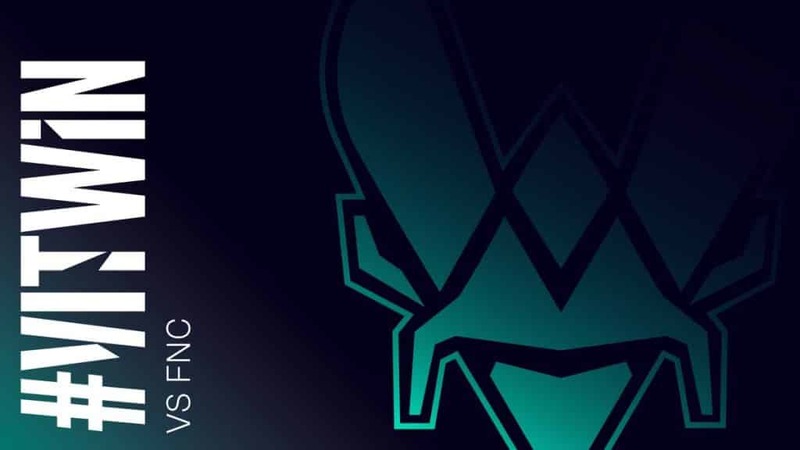 The team committed four players to the call, but Vitality responded as Jakub “Jactroll” Skurzyński (Alistar), Lucas “Cabochard ” Simon-Meslet (Jayce), Mowgli and Jiizuke forced an engage, walking away with two kills while keeping the turret up. Meanwhile, down the bottom side, AD Carry Amadeu “Attila” Carvalho (Kai’sa) got a healthy amount of gold by nearly taking down a turret by himself. The bad play on the top side gave Vitality enough space to take down both the top and bottom outer towers. As the team found a good fight inside Fnatic’s jungle, Attila scored a beautiful double kill while also taking down Broxah, setting up a Baron call. Fnatic found a way back as Vitality lost four of the five buffs by overextending. As VIT continued to press on, Fnatic finally found its fight with a pickoff on Jiizuke but didn’t make anything out of it. The game-deciding fight happened at the mid lane. Gabriël “Bwipo” Raoul (Poppy) was the first one to go down, and a beautiful play by Jiizuke onto the backline resulted in an instant triple kill as Attila completed the ace. With a clear path into their opponent’s base, Vitality rushed down the middle of the map to take the victory in 32 minutes. The early plays were heavily focused towards the top side of the map. Splyce’s jungler Andrei “Xerxe” Dragomir (Karthus) secured the first blood, but Rogue’s Mateusz “Kikis” Szkudlarek (Sejuani) responded by camping the lane and helping Kim “Profit” Jun-hyung (Aatrox) with two kills. As Splyce dominated the bottom lane to secure the first turret, Rogue found some good top lane dives with Profit’s Ultimate on three occasions. The third one, however, did not end as the team expected. Marek “Humanoid” Brázda (Lissandra) roamed towards the top side, Tamás “Vizicsacsi” Kiss (Urgot) flanked the team with a good Teleport and Xerxe, already sitting on two kills, burst down Rouge’s members with his Requiem. Xerxe continued to pile up resources, while Splyce also built another win condition by controlling the drakes. The team finally had the chance to go for Baron when Rogue overextended following a pickoff on Tore “Norskeren” Eilertsen (Alistar). Splyce turned the fight around, and even though Kikis managed to stop Xerxe’s Ultimate, Kim “Wadid” Bae-in (Braum) was the only one to walk away on Rogue’s side. Splyce only got two turrets out of its Baron powerplay as Rogue found a good pickoff on Xerxe. It only slowed the march, however. Splyce was too far ahead and easily won a mid lane fight to set up a second Baron call. The powerplay this time around was a lot more efficient, as Xerxe’s Requiem dished out a huge amount of damage helped by two Infernal buffs. Splyce set up the siege and aced Rogue to close out the game in 34 minutes. G2 once again packed up some surprises with a top lane Sejuani for Martin “Wunder” Hansen. Marcin “Jankos” Jankowski (Olaf) and Wunder went for a dive onto former G2 top laner Ki “Expect” Dae-han (Sion) and walked away with the first kill of the game. The team tried to snowball its bottom lane, using Lukas “Perkz” Perkovic’s Draven. G2 committed four players to a dive on Jesper “Jeskla” Klarin (Xayah) and Raymond “kaSing” Tsang (Rakan), but a good Ultimate by kaSing bought a lot of time for the rest of the team to arrive. exceL showed the strength of its composition as Marc “Caedrel” Lamont (Nocturne) and Fabian “Exile” Schubert (Galio) arrived with their Ultimates. exceL’s jungler scored a triple kill. Wunder committed to the fight with a late Teleport and Exile added another kill. 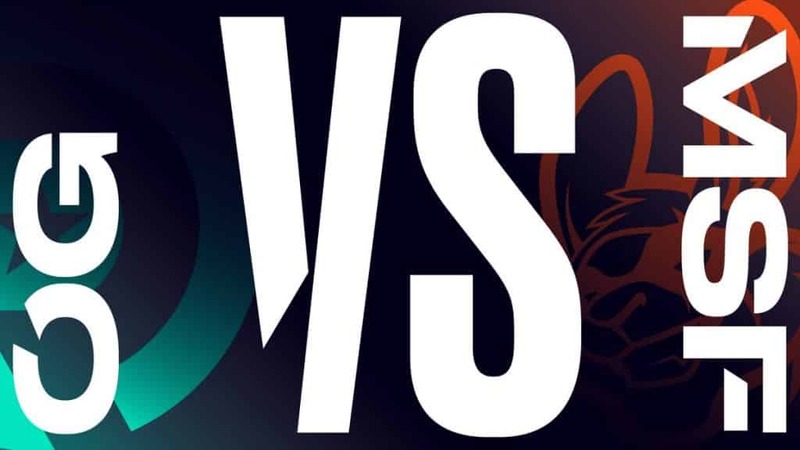 The LEC newcomers found another good fight as the team contested the Rift Herald, once again combining their Ultimates for a powerful engage. G2 used its better laning phase to secure two turrets, though exceL grabbed the lead back by cleaning out G2’s outer towers. While XL continued to find better fights around the map, the team failed to turn that into more objectives. Perkz and Caps (Akali) cleaned a fight inside XL’s jungle and G2 went for the Baron. exceL got the last laugh, as Caedrel jumped into the pit to steal the buff. The powerplay reset the map, which at the time favored G2. As G2 tried to end the game, exceL forced a fight and at first glance found a good engage. But the team tried to focus Jankos, and the G2 jungler bought a lot of time while also splitting exceL’s formation. Caps cleaned out the fight and destroyed the Nexus just in time as XL’s players spawned. The new German rivalry got off to a slow start, as the first kills of the game did not happen until the tenth minute. A bottom lane gank by Jonas “Memento” Elmarghichi (Camille) saw Shalke open the kill count, but a good response by Oskar “Selfmade” Boderek (Sejuani) resulted in a double for SK’s jungler. While SK Gaming committed their resources towards the top side, S04 decided to play through its star AD Carry Elias “Upset” Lipp (Kai’sa), as the team secured the first turret as well. As neither team managed to make a breakthrough, SK picked off Memento but did not manage to take down S04’s jungler despite committing a few Ultimates to the play. Shalke turned the fight around and secured three kills to set up the Baron call. The buff finally broke the stalemate as Shalke exposed SK’s base while building a solid 10,000 gold lead. Holding control over the Baron pit, S04 waited for the second buff and secured it, although Memento gave his team a bit of a scare as he got taken down by Nashor, leaving the team without a Smite. SK resisted the initial push, which led Shalke to the Elder drake. With their opponents holding the two major buffs, SK had no choice but to force a desperate fight. Upset secured a quadra kill to clean out the fight and S04 finally had the space to close out the game. Misfits’ Nubar “Maxlore” Sarafian gave the reworked Nunu its worldwide debut in competitive play five months after the release. And the jungler made the pick count as he secured the first kill of the game following a bottom lane gank. OG picked him off twice however and set up the Rift Herald as Misfits moved its resources to AD Carry Steven “Hans Sama” Liv (Vayne). It didn’t help much though as Hans Sama secured the first turret while MSF managed to stop the Herald from taking down one of its own. Holding a solid advantage, Misfits set up an early Baron call as Maxlore and Hans Sama melted down the health bar. 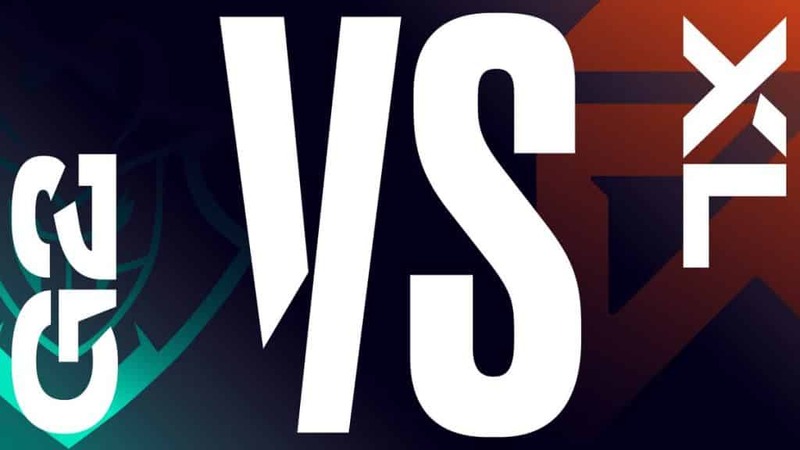 The powerplay cleared the way towards Origen’s inhibitor turrets, but as Misfits turned its attention to a third Infernal drake, Origen slowed the superteam down with a shutdown on Hans Sama. OG’s AD Carry Patrik “Patrik” Jiru (Kog’maw) got caught out of position and Misftis used the chance to secure three kills and force its way inside Origen’s base. The team opened up the top lane inhibitor and tried to end the game, but lacked the minions to do so. As Misfits had to fall back, OG went for an all-or-nothing Baron call. It went horribly wrong as Misfits’ minions were already making its way to Origen’s Nexus turrets. 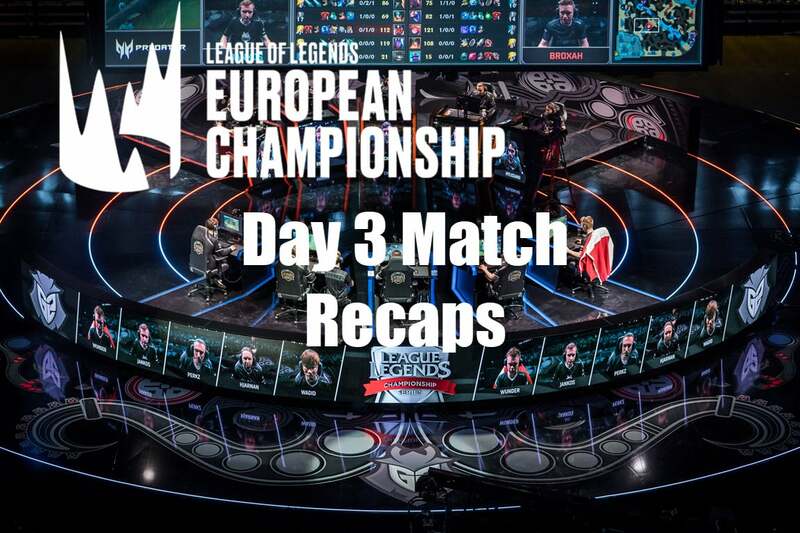 Hans Sama and Fabian “Febiven” Diepstraten (Akali) cleaned out the fight with three kills and secured an uncontested buff. 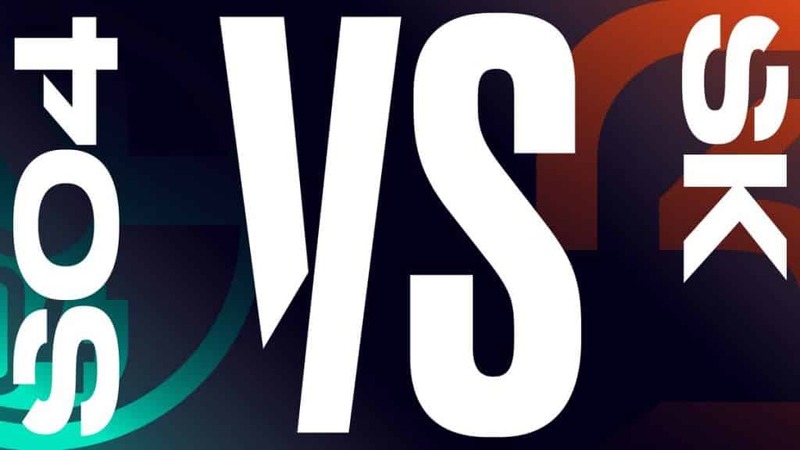 Rushing down mid, MSF finally managed to close out the game as Hans Sama and Febiven won another fight inside OG’s base. It took longer than the first two games, but the superteam walked away with its third consecutive victory to lead the LEC standings.